"Plans for building the first homes on Mars are already in progress. Through this book, you'll learn why I think it's time to commit ourselves to building a permanent home on the red planet." 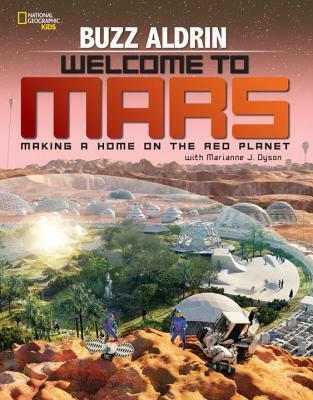 This book walks the reader through preparing to go to Mars, getting to Mars, landing on Mars and constructing homes, and the potential to change the climate of Mars after 1000 years of human habitation on the red planet. I am continually telling my students not to be worried that all of the possibilities for scientific discovery will be used up by the time they grow up. This book is proof of that. The amount of creative thinking and problem solving that will go (has gone) into this possibility (probability/reality) is absolutely mind-boggling.